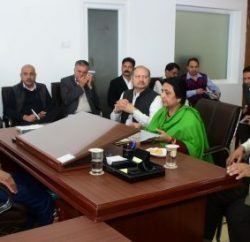 Member of Parliament Pratibha Singh, toady called on minister of state for communications, Milind Murli Deora in New Delhi and requested him to sanction more mobile towers for tribal, difficult and backward areas of Himachal Pradesh. 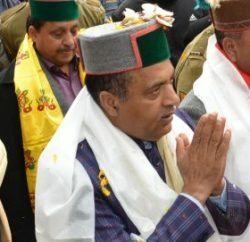 Mandi MP informed the union minister that call drop rate in these areas was highest and entire BSNL mobile network in Kinnaur district had collapsed during recent flash floods. This had further complicated the task of State agencies to launch relief and rescue operations in the affected area. She urged for setting up new mobile towers in higher reaches of the state so as to cover maximum areas under mobile network. 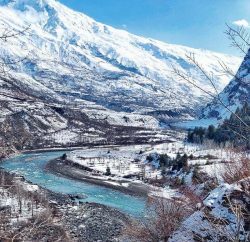 Pratibha Singh said that Kinnaur, Lahaul-Spiti, Rohru, Kumarsain, Jubbal, Kotkahi, Banjar, Nirmand, Siraj, Pangi and Bharmour areas of the state were facing frequent mobile network problems and requested him to set up new mobile towers in these areas on priority. She also requested for optical fibre connectivity to village telephone exchanges in the State. 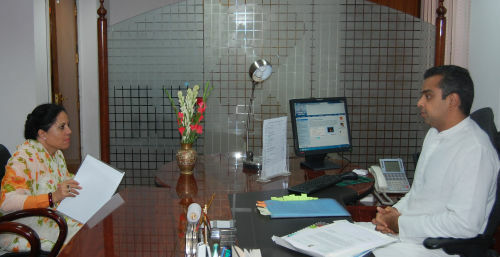 She also requested the Union Minister to connect all the post offices in tribal and difficult areas with high speed internet connection and open internet kiosk to facilitate the people as these areas remains cut off from rest of world during winter season. She also pressed for relaxation of norms for setting up post offices and demanded opening of new post office/sub post office branches in these areas so as the people could get telecom services nearest to their home. Pratibha Singh also requested for sanctioning additional funds to strengthen and maintain the telecom infrastructure in the State and undertake modernisation process so as to keep pace with latest technology in the sector. She demanded funds for e-Governance projects of the State and also pleaded for sanctioning more projects under e-Governance so as to bring administration closer to the people and provide all government services in a time-bound manner in a fair and transparent system.